Could it be that the church of North America today is in a crisis like they have never known before? What if that crisis is not the state of the culture around us – homosexuality, abortion, liberal judges, Hillary Clinton? What if that crisis is not what model of church we use? What if that crisis is not denominational or religiously political? What if that crisis is not even the moral failure of clergy? What if that crisis is a crisis of being…a crisis of existence? Does the church really exist, living a message that God came near and engaging our culture today with the love of Christ? I mean, really – we have become experts in pointing out faults, lobbying TV and radio networks, selling models and programs, and holding conventions to vote on the next boycott resolution. Is that what Jesus called His church to? In Matthew 5, He told His followers to preserve the Godness of His creation and influence the darkness of men’s hearts. We will never do this outside of the very essence of who we are – relational beings. And so, we have to be. We have to exist. We must be His church. You might be thinking – Jason, come on. That is just semantics. Well, lingo is vital to any culture. College basketball has a lingo. MAC users have a lingo. Harley riders have a lingo. Lingo is important to every culture, and it always is an expression of the values of that culture. The New Testament refers to the “church” approx. 140 times. Every single reference is with regard to people. You don’t come to people or have people or do people. People BE. They exist in their daily, their lives proclaiming that God has come near. Are we being the church? You see – the culture around us does not want another segment to their lives or another item on their schedule. They are crying out to belong, to count for something, to live beyond self – to really live. Jesus came to tell us that we could. We could escape the emptiness of living for self alone and live for someone much bigger than us and a purpose way beyond ourselves. How will the culture around us see that kind of living if we are not being His church 24-7…to our families, in our neighborhoods, in the marketplace, around the world, and on the web? A friend of mine just yesterday came up with a great title for small groups in his church family – “167s.” It’s what Christ-followers should really see as “church” – their life the other 167 hours of the week outside of the one hour gathering each Sunday (or whatever day you gather). Think about it. What if this is the crisis that could ultimately cripple the church of North America. I mean – any being who quit being became extinct. Are you being His church? nice. in the movie, dances with wolves, one of the soldiers says of costner’s character, ‘you done gone injun ain’t ya?’ instead of having gone to church maybe we should all have “gone church” in the costner sense. he didn’t go to the indian village. he went indian. hi, Jason! This makes me miss Westpoint. I hope I can make it to Florida sometime to see y’all, especially houseblend. I hear where you’re coming from and no, I don’t think it is semantics. We have to come to a realization that people and relationships and community 24-7 are what Jesus called us to. WE are the Church. We don’t exist to turn people to a building, we exist to lead people to Jesus, the Christ. The sooner the churches wake up and realize that, the sooner the “Church” will begin to go outside the building and impact the world. I like your thinking on this. I agree that it is not merely semantics. A group of us will be coming down to House Blend on Saturday night after our worship gathering. I look forward to seeing you. As usual you hit the target dead center. 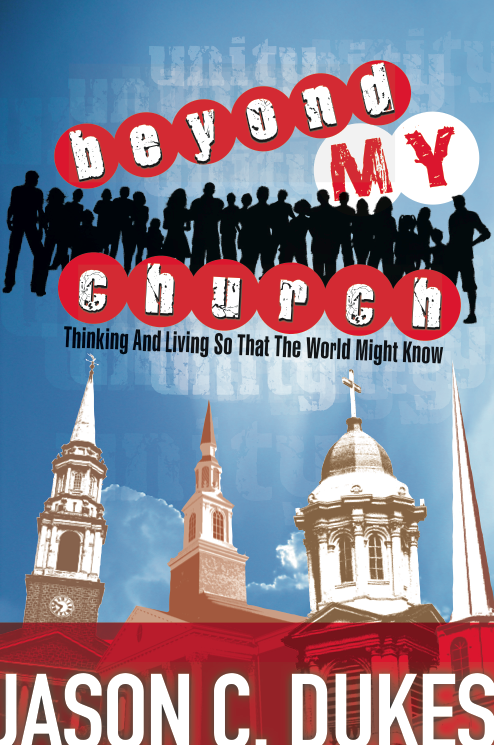 The church has to “be” not “do.” See you at House Blend soon. Just wanted to leave a comment here – great to meet you this weekend. God’s blessings on you and Westpoint – awesome stuff!